The time between Dushera and Diwali, is synonymous with the Thanksgiving-Christmas phase, where food takes the center stage. I remember watching one of those morning shows on TV, that reported an average weight gain of 5 to 10 pounds during this period. Unfortunately, unlike the peaceful end to the parade family and food, this extra weight piles on. Whole Grains: Instead of denying yourself the sweetness of mithai, go for options made with whole grains like wheat, bajra, jowar, and ragi (nachni). Soybean and daals can also be substituted for besan. Dry fruits: Almonds, walnuts, and flaxseeds are rich in Omega 3 fatty acids that have numerous health benefits including prevention of cardiovascular diseases. Adding dry fruits to sweets recipes will add texture will add an interesting texture and transfer the health benefits as well. 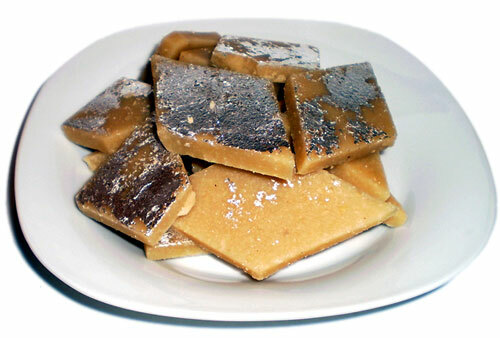 Sugar: While a Diwali without Indian sweets is incomplete, substitutes like with dates (khajoor). Oil: For preparing desserts/ kheer, use cow’s toned/skimmed milk rather than whole milk (full fat milk). Milk: Sweets can also be prepared with paneer (made at home with cow’s toned milk) instead of khoya, which is high in fat content. Whole grain Indian desserts sounds like a great idea. However, I don’t make or bake desserts. Considering I can’t even find regular cakes etc in whole grain easily, how easy and practical is it to buy whole grain Indian sweets?